Our Tracksuit program is an approved NDIS service and is proud to be part of the Healthway Act-Belong-Commit initiative. 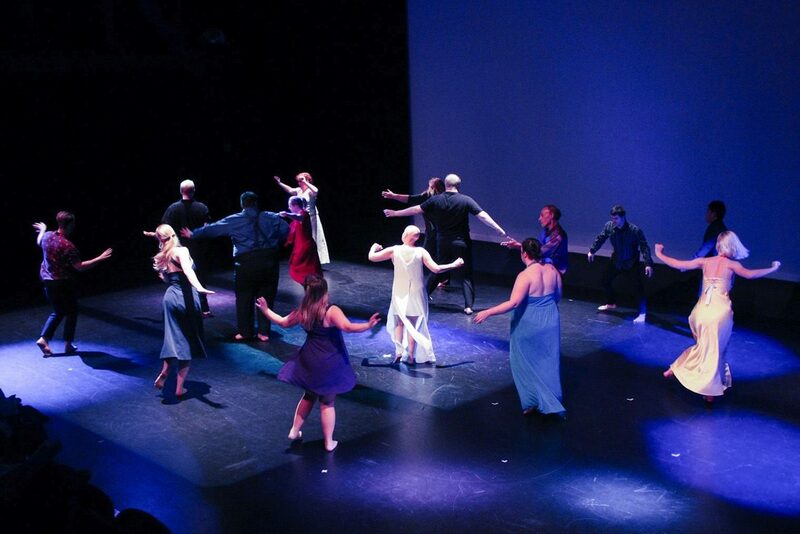 Tracksuit is an ongoing performing arts program running each Monday from 10am to 1pm at DADAA Fremantle. Workshops are held in the Big Hall in Old Fremantle Boys’ School, which is a large and wonderful heritage space. Tracksuit is also about the joy of movement and and the group creates original performances collaboratively. Ideas and concepts are generated by participants, and explored through dance, movement, text, gameplay and improvisation. The group is led by artistic director Paige Gordon. As part of a partnership with Perth Theatre Trust, Tracksuit presents annual performances at the State Theatre Centre of WA, either in Studio Underground or in the Heath Ledger Theatre.